The Town of Hartford received a grant from the Vermont Agency of Transportation to conduct a bicycle/pedestrian scoping study for several road segments in Quechee, including Quechee Main Street, Waterman Hill Road, Woodstock Road (Route 4), West Gilson Avenue, Cross Street and Quechee-Hartland Road. The study will examine the purpose and need for the project; existing conditions, including right-of-way, utilities, private property, natural and cultural resources; and long-term or ongoing maintenance requirements for each alternative. The eventual outcome from the study will be a preferred alternative for each road segment, cost estimates and prioritization for future implementation. Folks, I think we can all agree that this meeting will be the best time to surface any and all concerns or questions you might have related to this study — before the study gets under way in earnest. If you are not able to make the meeting, please respond with your questions or notes and we will make sure they are raised.The Quechee Village Steering Committee, formed three years ago to help win the Quechee Village Center designation that has helped local businesses access various state grants is acting as the community intermediary for the project. If you would like to join the committee, click on the link at the start of this paragraph and sign up for membership in its Google Group. Well, I lost narrowly yesterday and while it hurts, I’m not going to turn away from my interest in understanding our town operations and sharing that information with you. My take on the election is that too many in town have a bad feeling about their local government, and as the only incumbent I got identified with those feelings by too many voters. I tried mightily to reach out and speak with as many residents as I could, knocking on hundreds of doors. When I did have the opportunity to get to know you, I feel that I won your support and am grateful for that. I’ll continue to build on that base and look forward to giving it another try in the future. I assembled a tax history for the town based on the detailed table of town data I assembled last year from town reports and audits and used as the basis for the surplus history report I sent out around this time last year. This one, though, is more focused on the elements that make up what might be called the “tax experience” — the grand list changes; the tax levy changes; the tax rate changes; the fund balance changes; the school tax changes and how they combine with the town changes; and finally, one example of tax impact on one property — mine. Q) Who has the power to decide whether or not fluoride is added to the White River Jct, Wilder or Quechee water systems? Q) Will the town manager add it? Q) Has such a resolution been offered? Q) Could the town vote on it? Q) How could such a vote come to be? A) The Selectboard could have put an article on a warning for town meeting Voting Day or for the annual Floor Meeting, but it did not. Citizens could circulate a petition and get 5% of the registered voters to sign, around 300 signatures, but that did not happen either. The deadlines for doing that were last month. I think you can all see that for all the flurry of activity around fluoridation, there is not going to be a vote and there isn’t going to be any Selectboard vote, at least not anytime soon. About the only thing that I can forsee happening at this point would be someone offering an advisory resolution during “other business” at the Floor Meeting on March 29, but that meeting is typically so lightly attended that any resolution, one way or another, would demonstrate nothing. In the grand scheme of the critically important issues that the town faces, namely, our lack of flexibility due to health insurance being jacked up a half a million a year at the same time our grand list has shrunk by 5 percent, the kerfluffle over fluoridation is a minor distraction. On the issue of fluoridation, I’ll stick with the scientists at the Center for Disease Control and urge everyone not to accept the dramatic claims presented by those against until they have had a chance to review the CDC materials, which are readily available online. That said, I predict that the fear, uncertainty, and doubt campaign plus the general sense that science is failing us and government can’t do anything right will mean that fluoridation will never come to Hartford. I had a chance to dig out my copies of the materials handed out at the public hearings on the Joint Town-School Recreation Facilities bond of 2013. Here is a scan of WABA as conceptualized at the time, showing 6 new locker rooms on the west side. These new locker rooms are at the heart of the upgrade from the perspective of expanding the usability of WABA. 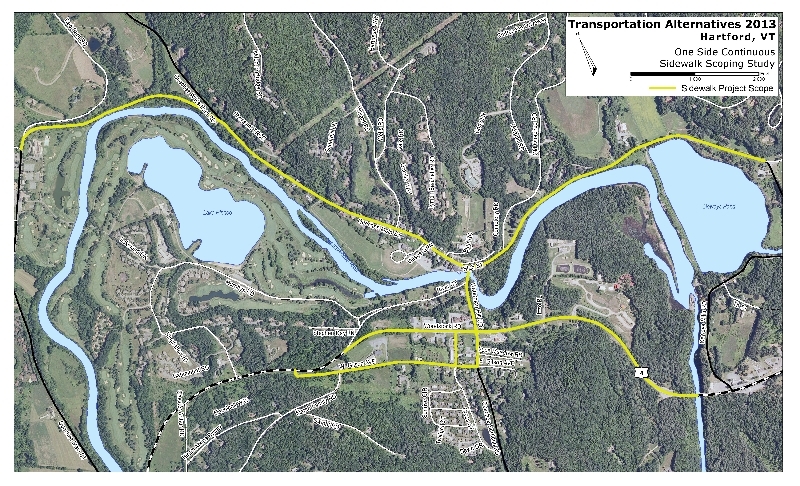 By voting to limit the contract with the low bidder to just 2,296,000 AND meeting the programming needs as expressed in this diagram we have set boundaries around the job that may not be possible to work within without opening the town to legal challenges that it is not fulfilling the bond. Following the vote we discuss a point of information: the 180K value engineering has to come out of the 2,476,000 low bid only. Answer: Yes, the contract with the low bidder cannot exceed 2,296,00. We then discuss whether the 180K savings can include things that are postponed for future completion. Answer: No. Some would ask if my intention is to kill the WABA project. It is not. To the contrary, we should be doing it in full and not screwing around cutting corners and hiding how it is paid for. This needs to be an investment in the town’s future. A mere sprucing up does not achieve that goal and would be a waste of money. Between wasting money and getting out of the hockey business, I’d take the latter. That is the full range of my opinion: do it right, and if we can’t afford to do it right, then we should seriously consider getting out of the business. I’ve said this over and over and over. If it were my decision alone, we’d be doing the full renovation, both sides, for 3.8 million, and using a 3.8 million bond to pay for it. We had a great compromise agreement on Jan 15 to proceed and let the town decide between taking the money out of reserves or using a bond. The replacement of that compromise last night with a program that will cut $100,000 of services from this year’s budget (or cause a budget deficit, reducing the unassigned balance), plus the use of the unassigned balance anyway, with no plan to replenish it, with no vote by the public, is just bad governance. I put together a spreadsheet over the holidays to help me get my head wrapped around what happened with the different recreation projects. All in all the shortfall is in the neighborhood of 3.5 million — information that could not have been developed by the citizen committee which came up with estimates. For example, they could not have known the complexity of the utility work required because that understanding only came after paid professionals worked on the question for many hours. Similarly the requirements for the prep work to support the artificial turf and track were not knowable without extensive and expensive soil engineering work. Personally, I think the bond would have passed if it had been for 11.9 million instead of 8.9 million and that given the broad support for the effort, the strong desire to do the job correctly, the town would support a $3 million Supplemental Joint Town-School Recreation Bond. After completing this I drafted a presentation for the kickoff meeting of the town meeting cycle, the first-Monday-after-the-New-Year-holiday meeting formally called “Warrant Information Night” but known by the shorthand “Info Night” — the idea of this meeting being that the school and town let everyone know what things are being discussed to be put on the ballot for voting day on the first Tuesday of March. That way there is public input and discussion before the school and town boards finalize the town meeting warning in late January. The warnings are made of up of ‘warrants’ thus the meeting name. Our budget discussions have just gotten started and we hear about not cutting spending. How is cutting seven staff positions, not funding our reserves, and flat funding everything else not curbing spending? We can’t do anything about the 1% decline in the grand list which will make everyone’s taxes go up at least 1.25 cents. We also voted, and very strongly I might add, for the Quechee Bridge Bond, municipal building fund, and the rec facility bond. In addition, a majority supported the West Hartford bond. They are adding 5.5 cents to the tax rate this year. Between those two factors, taxes would have to increase by a minimum of 6.75 cents, if everything else remained exactly the same.However, everything else is not remaining the same. After five years of no raises, union contracts were finalized last year and so there was a general increase of 2 to 3% in wages across the board. That’s 150,000. The atrocious healthcare system, with its massive shell game, which Hartford has done it’s best to game over the years, has finally found a way of extracting more than our fair share. That equates to $250,000 this year, it was an additional 300,000 last year. Also, over the last three years the grand list has declined each year, much of that decline coming on the Quechee condos. It is as if 200 of those 600 condos were bulldozed and replaced by a wheatfield. This has cost the town something like $800,000 a year in recurring tax revenues. If you really want to help, bring your laptop with you to the budget workshop meetings Tuesday and Thursday this week, and every week in January until we’re done. We are generous in allowing the public to comment on and add information to the discussions were having. Finally it’s safe to say that any email you get from a member of the select board is them speaking for themselves. If the select board has something official to announce, the town will issue a press release from the select board, or the chair will issue a release in the name of the select board as a whole. Bill, you do know that our town’s taxes are lower than any of the nearby towns which offer police and fire departments, so this notion that we are driving people away because of taxes is one that I don’t see apples-to-apples evidence for. As for the argument that we are a “high tax” town in comparison to those around us, that’s not really the case. Here is a table of surrounding Vermont towns ordered from the lowest total tax rate paid by Vermont residents on their home to the highest, along with the percentage difference from Hartford. I’ve also included the non-resident rates as well. We have a lot going for us and if past selectboards had been willing to keep our public infrastructure up to date we would not be facing a decade of one bond after another to get caught up. Yes, the citizen board that had no money to spend on the task underestimated the rec facility costs, by at least 2 million and perhaps as much as 3 million. Had the public been presented with an 11.9 million bond last year, it would likely have passed and in 2015, when all the costs were in and it had been done for 11.6 million everyone would have a a smile on their face. My takeaway is that it might not be a terrible idea to spend 10 or 25 or 50 thousand up front to get more accurate costs, but then we get criticized for spending money on something the town might not approve. Or maybe we should take any estimate we get, add a 33% contingency, and then set the bond to the nearest 1/2 million. So 9 million x 1.33 = 12 million. There you go, we covered all the bases. After all, it’s all competitively bid. We had a dozen takers on the WABA project and the 3 low bidders were within 20K of each other. So we can be pretty sure that to do WABA right, to do it the way we sold the public on it, it’s going to cost 3.1 million. And the utility work, a throw in on the 2.5 million targeted for WABA? Some throw in. It came in at 400K. So WABA is a cool million over. The track/turf/fieldhouse — at least 1.5 million over, its out to bid now and we should know exactly soon. You can get mad about not getting the price right, but you agreed, I think, that we had the idea right — to once and for all do the things we’ve been talking about for 50, 20, and 10 years (track / turf / WABA) . What do you think we should do? One think I don’t want to do is to do the work on the cheap, or to settle for less than what we said we’d do, because there were important reasons for each element. I’m feeling like we need to do WABA right or not do it at all and get out of the hockey business — after all, there is a glut of ice in the upper valley, right? You are correct about the insurance. We should have gotten employee buy in on paying a greater share sooner than we did. But after what President Obama announced today, the whole issue may go away because we can stick with the plan we have now — one deemed inadequate by the ACA and one of the reasons for the premium spike. You’ll be glad to know that layoffs are the most likely way we will make up for the spike if it does come to be. What is the value of living in our town anyway? What’s the police and fire service worth? The rec department offerings? The highway dept? The enterprises that make water and wastewater possible? $500 a month? $100? $1000? You know none of your tax dollars locally are being wasted. Hunter’s staff is so good at getting every dollar we can that Irene is going to cost us very little, and, arguably, only what we wind up spending on the new park in Quechee — which will be a honeypot for the tourists and wind up paying for itself 20 times over during the next 100 years. Anyway, steel yourself for any number of bonds over the next several years. We need to work through the TIF projects, the sidewalks and trails projects, the Fairview Terrace retaining wall project. The nice thing is that the TIF stuff should pay for itself, and getting our rec and walking stuff set should make Hartford a pleasant and less costly place to live, attracting more people and distributing the tax burden more widely. That’s the only real way to accomplish what you want to see. In that case any increase on your tax bill will be offset by an increase in the Adjustment that residents get on their tax bills. In fact any household with an income under 46K should never see their tax bill go up. Hartford residents got $2.9 million off their property taxes last year. So even though the schools levied $18.9 million in taxes and the town $10.1 million for a total of $29 million, 10% of this was paid for out of the state education fund in the form of education tax adjustments, renter rebates, and circuit-breaker adjustments. There is no question that because Vermont is a small, northern state with a small population and a lack of industrial development it is a high-cost place to live, not just in the form of taxes, but also in the wear and tear on our cars, the cost of food and other goods that are trucked in from afar. Hartford is well positioned to have a much larger population, though, and investing in our infrastructure to make Hartford an enjoyable place to live and do business is the only hope we have of attracting more people and spreading the municipal tax burden, which is only about 1/3rd of your tax bill. The other 2/3rd, the state education tax, is not something the Selectboard has any control over, but it is also, for fulltime Vermonters living in their own home, subject to being paid in part by the state. Retirees with $8000 in school taxes and $50,000 in income would in general see a credit of over $4000. Our town’s taxes are lower than any of the nearby towns which offer police and fire departments, so this notion that we are driving people away because of taxes is one that I don’t see apples-to-apples evidence for. In fact, the only two other towns in Vermont that are similar to Hartford in size and grand list, Brattleboro and Springfield, both have higher municipal tax rates and higher total tax rates. Yes, the citizen board that had no money to spend on the task underestimated the rec facility costs, by at least 3 million and perhaps as much as 4.25 million. Had the public been presented with an 11.9 million bond last year, it would likely have passed and in 2015, when all the costs were in and it had been done for 11.6 million everyone would have a a smile on their face. My takeaway is that it might not be a terrible idea to spend 10 or 25 or 50 thousand up front to get more accurate costs, but then we get criticized for spending money on something the town might not approve. Or maybe we should take any estimate we get, add a 33% contingency, and then set the bond to the nearest 1/2 million. So 9 million x 1.33 = 12 million. There you go, we covered all the bases. After all, it’s all competitively bid. We had a dozen takers on the WABA project and the 3 low bidders were within 20K of each other. So we can be pretty sure that to do WABA right, to do it the way we sold the public on it, it’s going to cost 3.1 million. And the utility work, a throw in on the 2.5 million targeted for WABA? Some throw in. It came in at 400K. So WABA is a cool million over. The track/turf/fieldhouse — at least 1.5 million over, its out to bid now and we should know exactly soon. You are correct that we long ago should have gotten employee buy in on paying a greater share sooner than we did. But after what President Obama announced today, the whole issue may go away because we can stick with the plan we have now — one deemed inadequate by the ACA and one of the reasons for the premium spike. You’ll be glad to know that layoffs are the most likely way we will make up for the spike if it does come to be. Anyway, steel yourself for any number of bonds over the next several years. We need to work through the TIF projects, the sidewalks and trails projects, the Fairview Terrace retaining wall project. The nice thing is that the TIF stuff should pay for itself, and getting our rec and walking stuff set should make Hartford a pleasant and less costly place to live, attracting more people and distributing the tax burden more widely. That’s the only real way to accomplish what you want to see — a reduction in your tax burden. The undesignated fund balance is carefully managed so that we arrive at 10% of our annual expenses, or about 1.3 million, each fall after the year end surplus (or deficit) is determined. The purpose of this fund is to pay for extraordinary one time expenses caused by unforseen events for which no other funding source exists. The idea is to protect the taxpayers from unusual one year tax hikes. For example, in the fall of 2012, the surplus for fiscal year 2012 (July 1 2011 – June 30 2012), if added to the undesignated fund balance, would have put the total over $2 million. It was reduced by the town manager creating, on his own, an “Irene Fund” of about $385K and his suggestion to the Selectboard that, instead of using the $500K bond passed by the voters to rebuild the W Hartford community center and library, the town should use around $500K in surplus funds. This manuever let the audit say that our undesignated fund balance was 1.3 million, right on target. However, as events turned out, the Selectboard, after the election, directed the town manager to use the bond; and to date the town’s actual expenses, after all FEMA and other funds are applied, to recover from Irene are — wait for it — zero! Maybe $75K, but that, too, is uncertain. So both the “funds” that were put aside so they would not show up in the “undesignated” funds are once again available to be redirected. During the past 15 years, Hartford has only once had a deficit. In other years, our surplus has ranged from relatively modest amounts to over a million dollars. Surpluses come from many factors: unexpected grants that pay for things we were going to use property taxes for; lower expenses than anticipated (for example, not having a police chief for 6 months); new properties being added to the tax base, so we collect more property taxes than expected; underestimating the growth in the grand list, also leading to collecting more taxes than expected. When there is more of a surplus than the Undesignated Fund Balance can absorb without going over the target value of 10% of annual town expenses, these monies get parked in “funds” that are for some useful and necessary purpose. For example, the town manager was rightly concerned that FEMA might not pay for all the projects that were still under way in the summer and fall of 2012 and set aside $385K for that. The Selectboard — largely at the urging of Chuck Wooster during his first term on the board 2006-2009 — created a number of important reserve funds that we add to each and every year out of both the surplus and tax dollars. We all pay a little every year toward fire, police and highway equipment so we never need to bond for those. This is based on a preliminary report studying Hartford’s solid waste management program. When I asked the company who compiled the report what their methodology was for determining the level of participation, they reported following the truck for a couple of days and counting how may stops were made and how many locations were passed. When I asked if they accounted for (a) multifamily locations and (b) people who might put the recycling out occasionally rather than regularly they said no. I personally observe that every one of my neighbors uses curbside recycling (8 are full time residents and 16 are part time) but on any given week only about 6 actually put out recycling. And in the case of me and my neighbor across the street, I put mine out with theirs to make it easier for the guy driving the truck. A friend of mine has a building on Quechee Main St with 5 tenants. They all recycle, but not every week. Were they counted as 1 or 5? As 1. You see the problem. The method ensured an undercount. The correct methodology would have been to give the driver a route sheet and have him mark it up every week for a month. I believe that kind of in depth research, which could have been done during the time the study was under way, would have revealed a far higher percentage of participation, likely in the 60% – 75% range. In addition, the tonnage suggests the participation rate is at least 60% if the average household is putting out 15 lbs. As the assumption about the average weight of recycling per household goes down, the participation rate increases. So 60% is a solid, conservative, low-end estimate. It is also true that the town does NOTHING to let people know this is a NO-COST program. We heard from many residents last fall that they didn’t realize it was a town service that didn’t require payment, didn’t require special bins, and didn’t require residents to do anything but put their recycling out. The Selectboard of Town of Hartford, Vermont will hold a special information session about the town budget on Monday September 23 at 7 P.M. in the Hartford High School auditorium. The format of the meeting will consist of a handful of brief presentations by members of the selectboard, followed by a general comment and question period. The status of current town projects, particularly the work on recreation facilities and the municipal building renovation, will kick off the meeting. This will be followed by information on the interplay of the grand list, spending, and non-tax revenues on the tax rate; an explanation of how the budget is assembled by the town manager and reviewed by the Selectboard; an illustrated review of the components of the budget; and a presentation on likely capital investments over the next 5 years. “We’d like to give residents a chance to be as familiar with the process, language and structure of the budget as are members of the Selectboard. If someone wants to know how the budget relates to the Advance Transit bus service, for example, after this meeting they will either know it or know how to find out,” said Bethany Fleishman.